FEAR. Nothing happens on the sidelines. Nada, zilch, zip, 0. And FEAR – your nasty friend banks on this. Fear wants to hold you back. Not to set you back but to protect you. But protection from the real world puts you at a loss in many ways and actually does end up setting you back. Your only block is you. Fear stops you from doing the next best thing because it fears you will fail. But failure is part of the journey. And without taking that next step you cannot possibly know how this will play out. You cannot possibly know all of the good things waiting in the wings for you. You have to combat fear with FAITH. You have to walk the way in order for the way to appear. 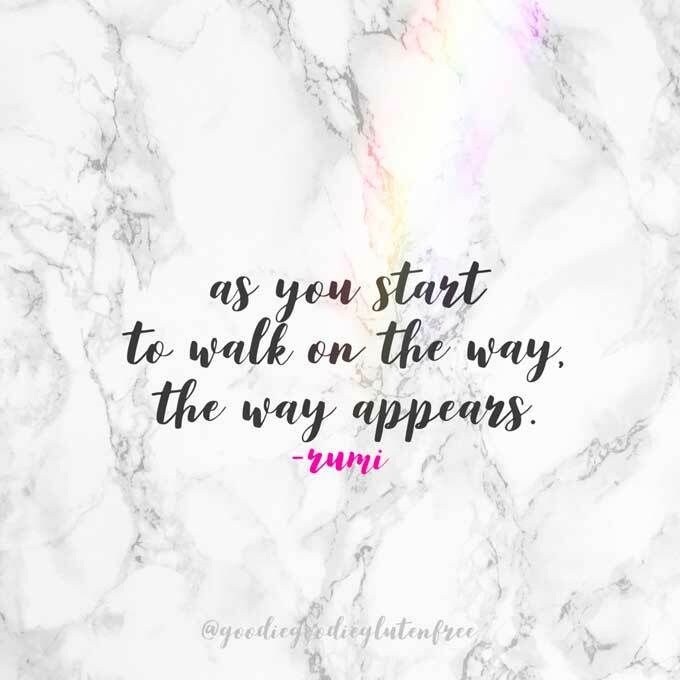 As you do each step will unfold right before your very eyes, and in divine timing. You are presented with what you can handle and what you only need to know right now. The Universe WILL meet you halfway. Remember!! This is a partnership! Plus the more consistent you are with following through in this process the more confidence, savviness, expertise, and compassion you will have, and you WILL need these tools to embark forward. As I said, you are given what you need when the Universe thinks you need it (and not when you think you need it). I say lean in. This goes for me, this goes for you. P.S. If you don’t know who Rumi is, know that is he knowns as one of the greatest spiritual masters and poets of all time. His words are so inspirational it’s hard to not want to breathe in his wisdom on a daily basis. His words light me up!